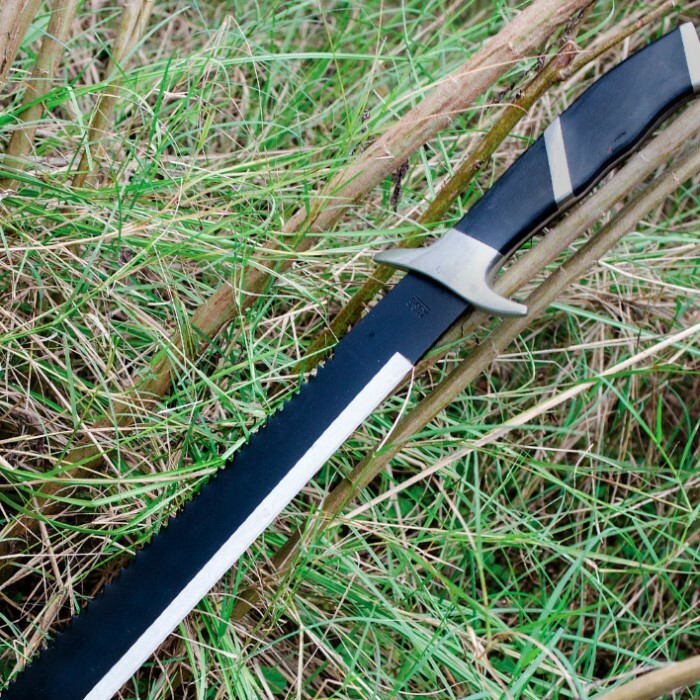 This sawback war machete is sleek but seriously functional, with its 17 in. stainless steel blade. 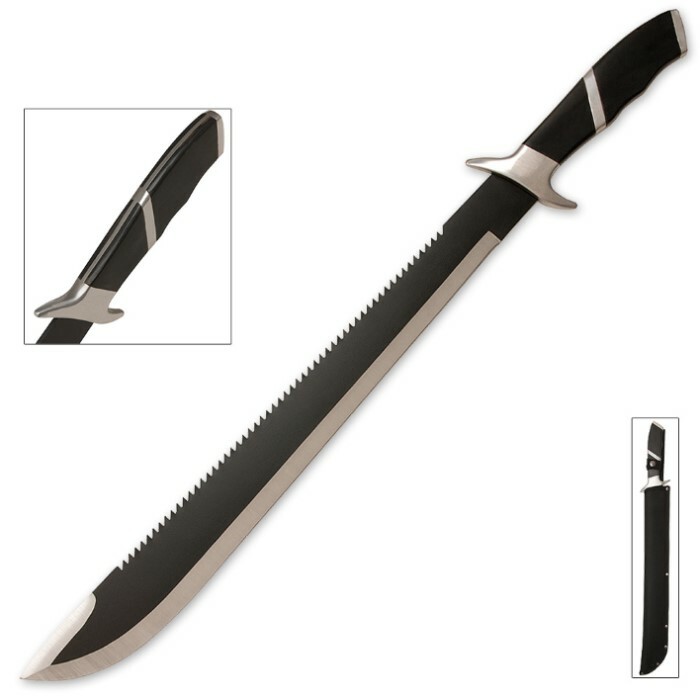 The hefty, full-tang stainless steel blade has a heat-treated black finish, sharp edge and powerful sawback serrations. Smooth wooden handle scales and a brushed metal guard and pommel complete the design. Handle is super cool to look at and the blade cuts through all the brushes here in Florida!! Better than expected. The warhunter came pretty sharp. The overall workmanship is not bad. Legitimate sawback looks like it could be useful and not just for looks. Gotta say I was pleasently surprised. Budk was having one of their one day blowouts so I got a smokin deal on the machette. I was not disappointed with the warhunter. This thing is awesome nice durable feel and weight. Razor sharp very nice sheath. Can’t wait to use it for some unexpecting brush whacka whacka chop ! Love the looks and feel... I recommend this machete. Great addition to our growing stock pile. I highly recommend this machete. I purchased two of them, one as a present for Christmas and the other for my Christmas present! The quality of the machete is so good I immediately bought two more for additional Christmas gifts!! This is built very well, it has excellent hacking power! Item was fairly sharp and very comfortable to hold. The only improvement I would recommend is to put a hole in the handle for a lanyard/wrist strap. Over all.... it is great!! This is not full tang. More like half tang. 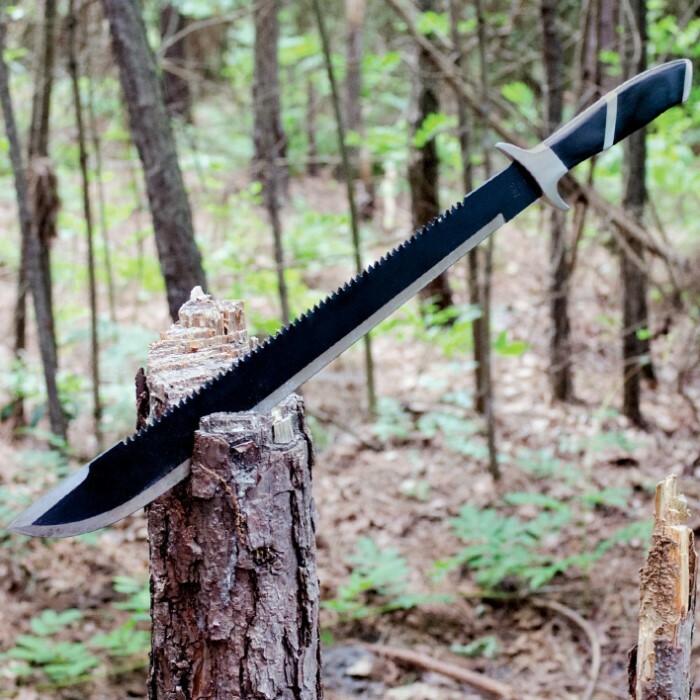 This is also not a brush clearing machete. However, it will make a good self defense weapon if ever you should need it. The blade is sharp, so it will cut. It would make a fine zombie killer, but not a good bushwhacker. Use it right and it will last. Use it wrong and it will break. Thanks BudK!